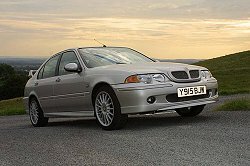 When young lads start lusting after what's basically a re-bodied and re-engineered Rover 45, it's obviously something special. 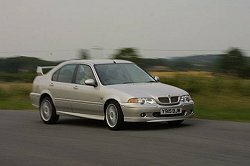 It is no exaggeration to claim that the MG ZS 180 was the biggest surprise of the lot when the new range was launched in summer 2001. 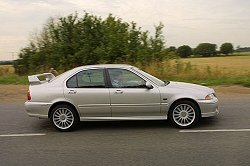 When young lads start lusting after what's basically a re-bodied and re-engineered Rover 45, it's obviously something special. 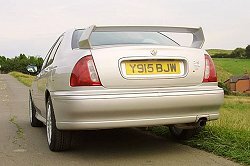 It is no exaggeration to claim that the MG ZS 180 was the biggest surprise of the lot when the new range was launched in summer 2001. I can still recall begging the keys for the car after arriving back from a full day's driving at the world launch, based in Cardiff, to sneak off for a solo run while the rest of the journos prepared for the evening meal. I just couldn't believe that the innocuous and wallflower character of the old 45 had been so dramatically changed. It would have been no more surprising to hear that Jeremy Clarkson had become the new presenter of Songs of Praise. 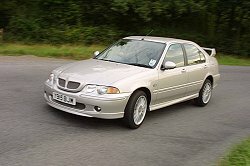 MG Rover recently lent me a five-door version of the 180. Shrinking violet it wasn't thanks to its Monogram finish in the odd combination of Saffron Supertallic (akin to burnt orange) and Monaco ash grey leather. "Just be careful when you're parking," I told the wife. "I'd hate to have to match the paint." I was right, too. 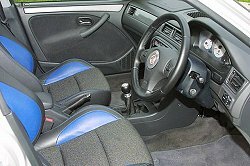 In Chester one afternoon, I chatted to the dent repairmen who were touching up a Trophy Blue ZS at the local MG Rover dealer. It was quite stone chipped at the front, and re-touching a Monogram car is a tad more difficult thanks to their unique finish. You have been warned! 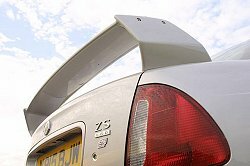 If there's one thing the MG ZS 180 loves it's playing hardball. Find a suitable road, preferably without speed cameras, and you'll revel in its rev happy engine; brilliantly balanced handling; excellent brakes; and overall feel good factor. It's little wonder that road testers have been universal in their praise for the driving characteristics of the car - it's even been mentioned in the same breath as the Subaru Impreza for goodness sake. Okay, the interior's still a little drab and dated and there is barely enough room in the rear for adults - perhaps the perfect excuse to drive one or two up only. So, the ZS 180 is an MG with real character and one that has hit the mark with buyers and the press alike - a hard act given some of the hypercritical reviews some of the new MGs have received. At £16,800 on the road the car is undeniably good value. My tip is to buy an '03 car now, store it for a few years and you'll have an instant classic in the year 2010. Well done MG - the ZS 180 is a car to be proud of!